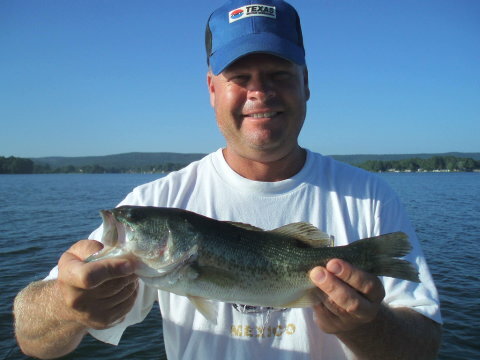 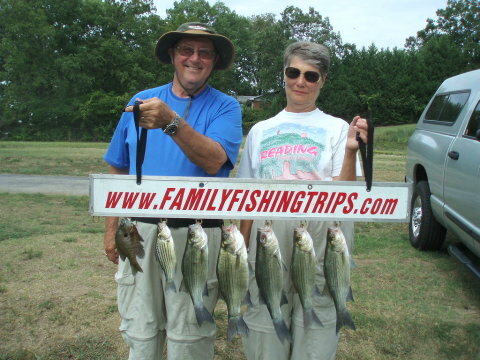 Second, several large Spotted Bass were caught and released. 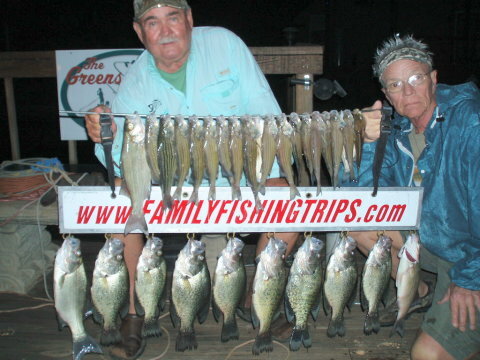 Doing a little fishing for Red Fish, Speckled Trout and Sheephead in Golden Meadow, LA. 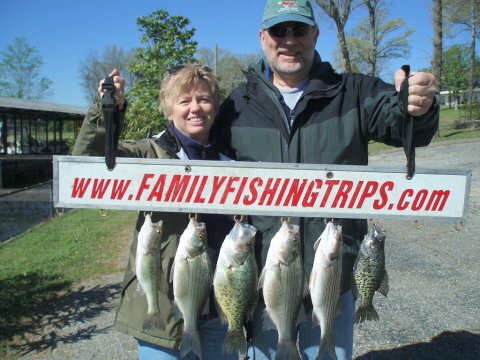 28th Wedding Anniversary -- Congrats ! 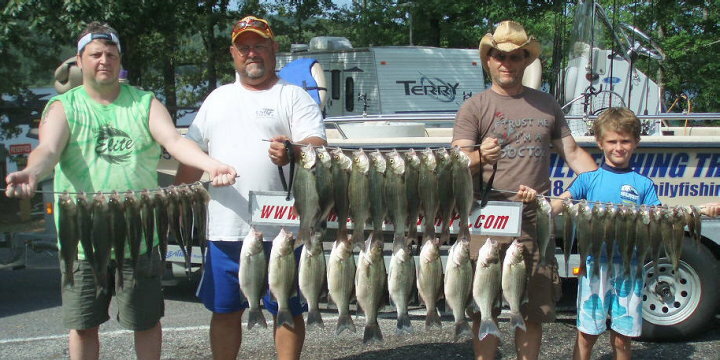 "Darryl, Thanks again for a great two days fishing. 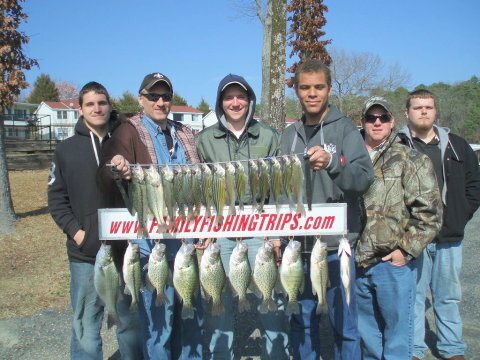 Our boys really had fun and we appreciate all that you taught them. 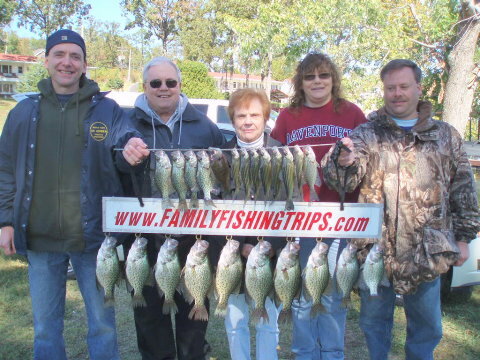 "Just wanted to thank you for taking the family fishing. 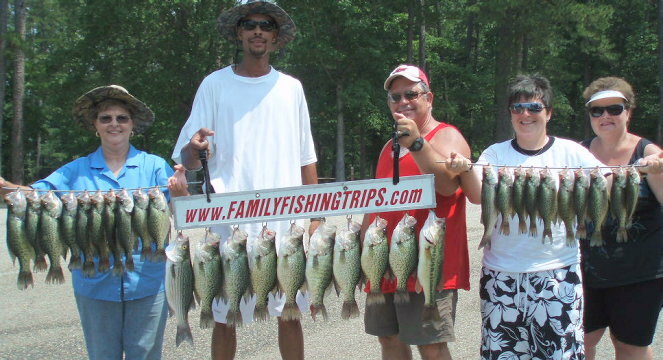 We had an awesome time. 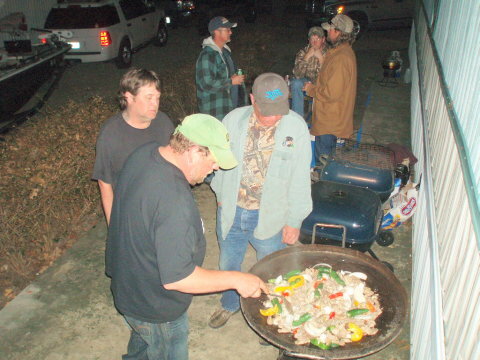 Everyone is still talking about it. 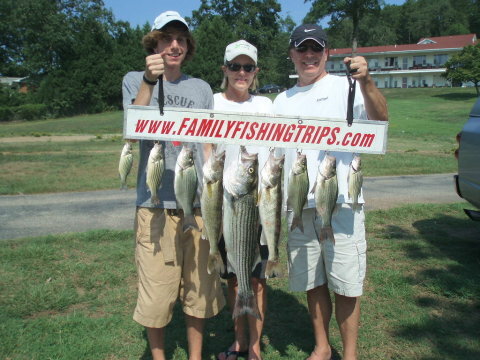 We are planning on coming back to Hot Springs and will have you schedules on the calendar!" 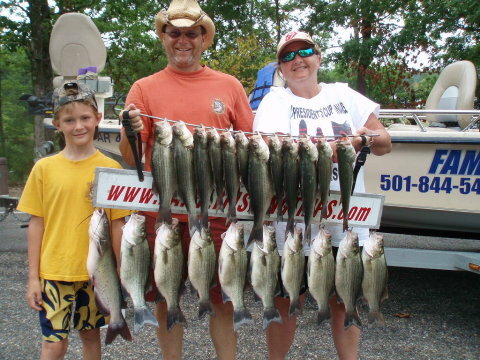 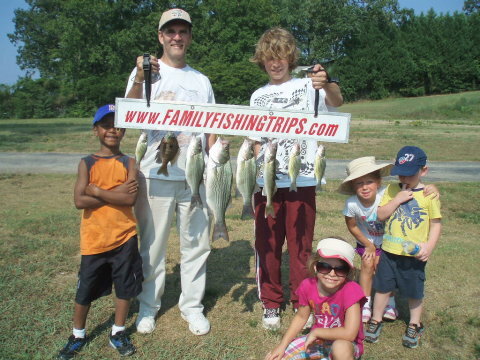 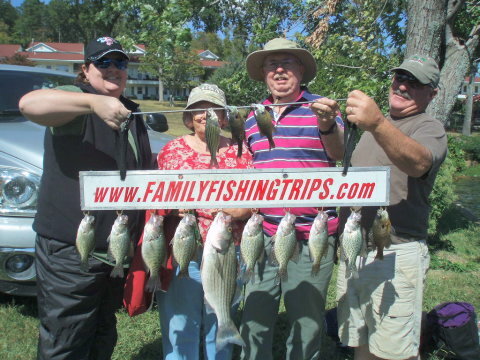 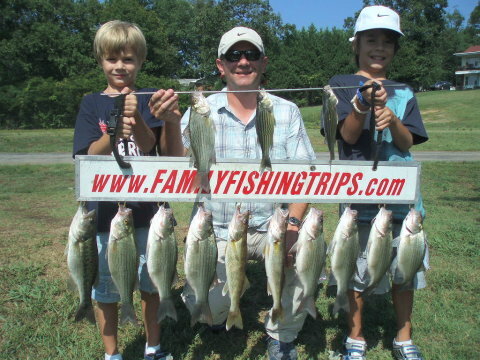 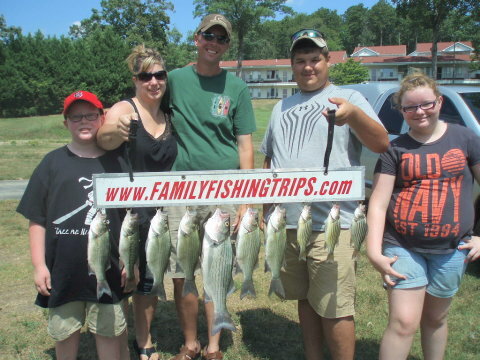 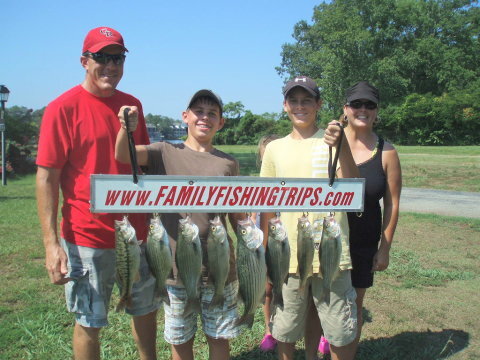 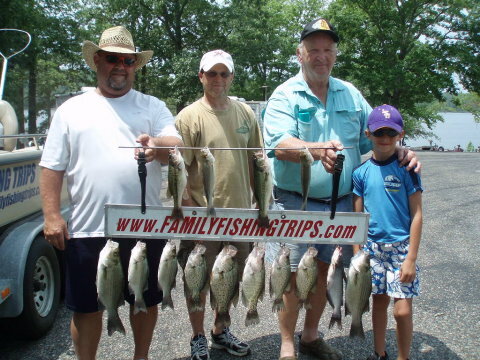 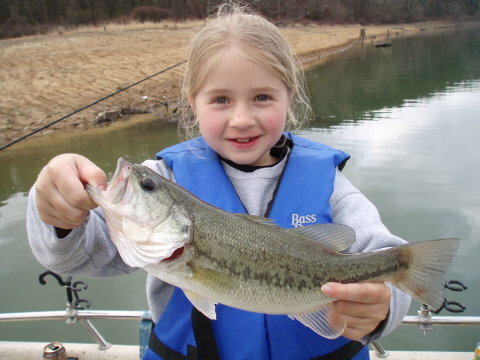 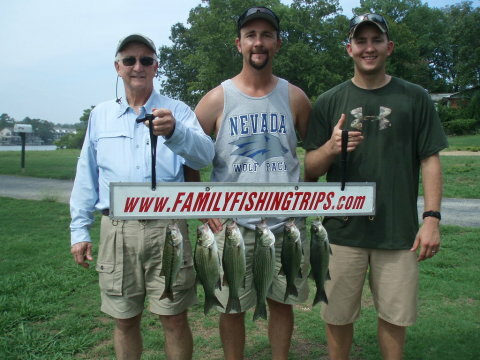 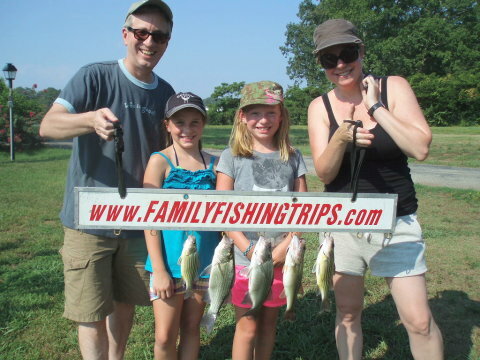 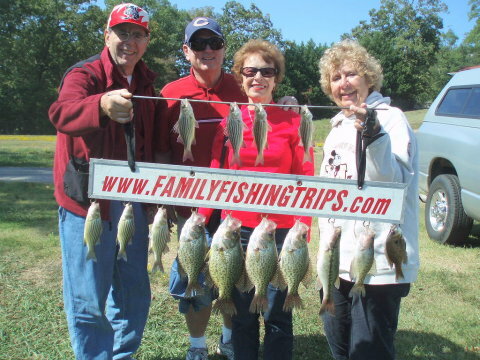 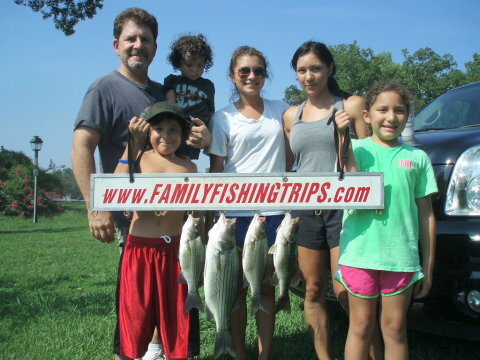 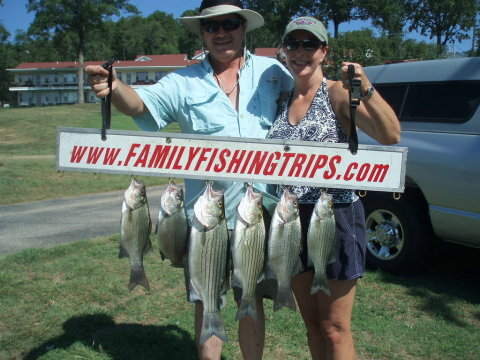 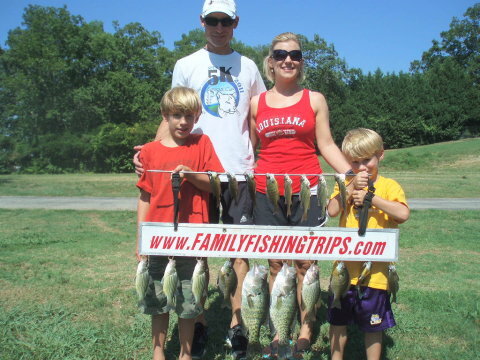 "We had such a great time fishing with you on Sunday. 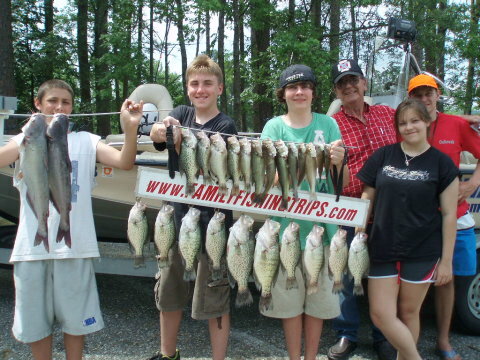 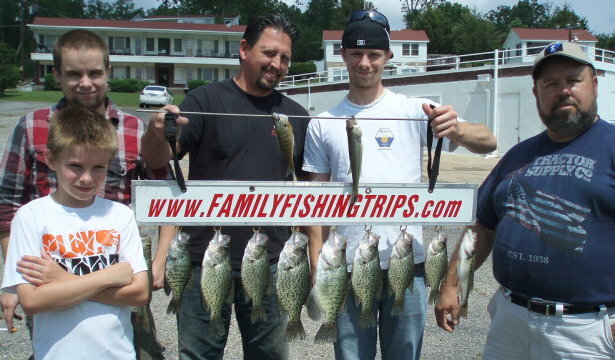 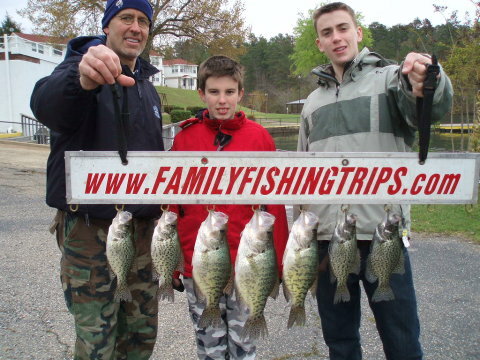 Ben (third from the left) still holds my boat record crappie at 3lbs1oz. 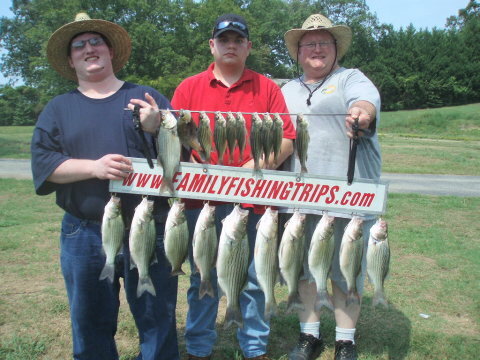 but Doc (far right) caught the 16-incher today. 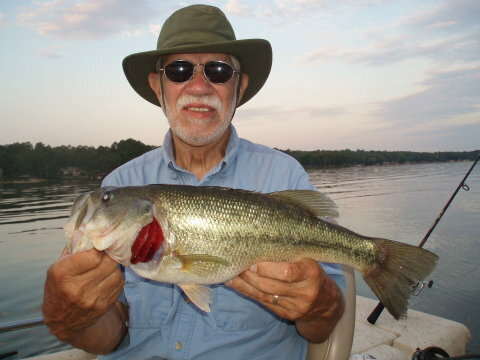 Happy Birthday Doc! 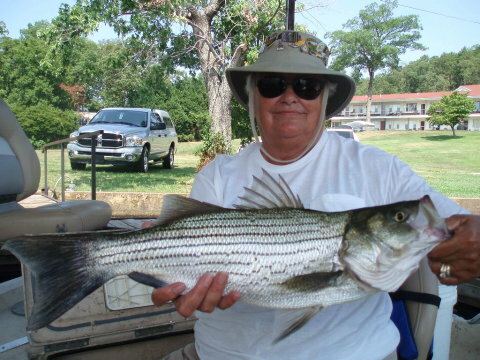 If you are looking to launch a boat at Greeson, Daisy State Park is available as of today. 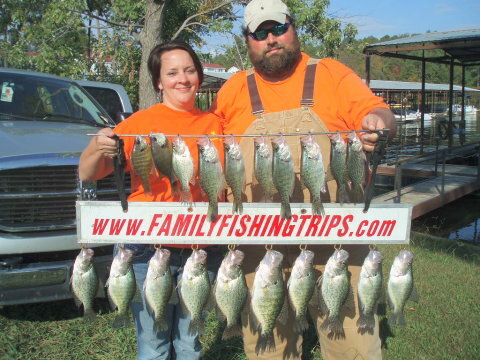 Do ya'll notice the famous crappie mount holder in the picture on my index page on the left. 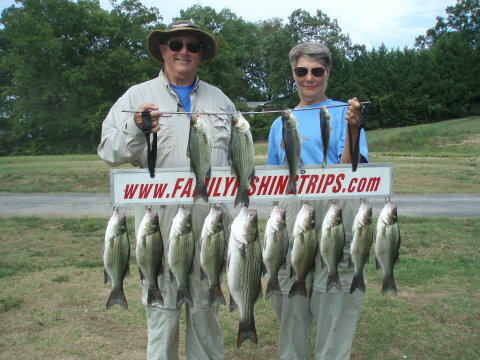 My husband and I would like to thank you for a wonderful fishing trip yesterday, you are an excellent guide. 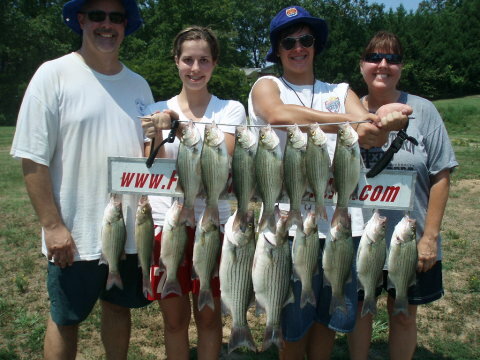 and had a third chasing the first two - first time in my boat. 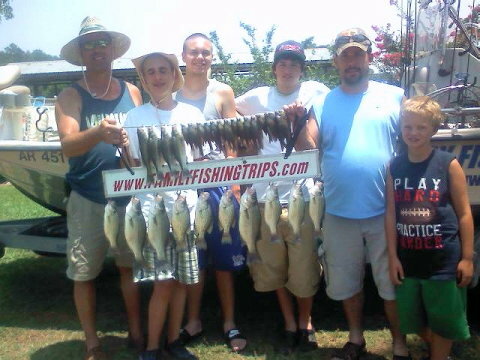 Great, fun trip. 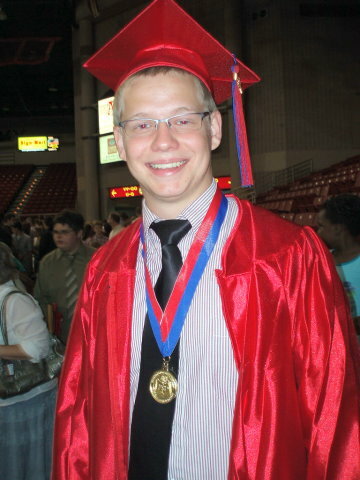 Semper Fi brother. 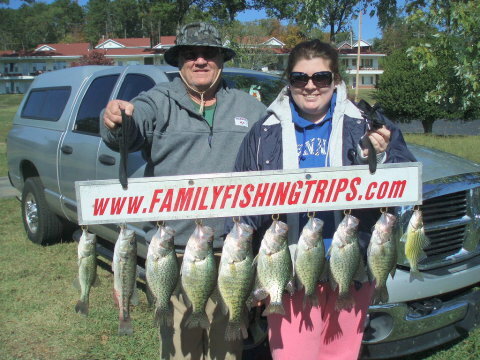 Black and White Crappie up to 16.25"
More than another limit of small crappie were immediately returned to the lake this morning too. 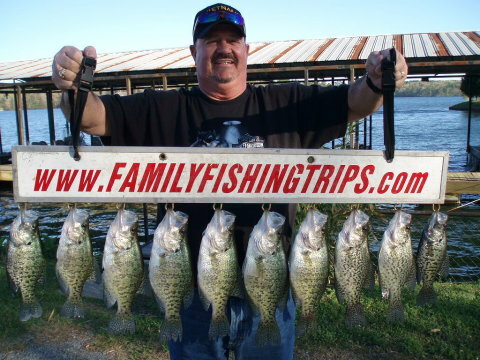 Black and White Crappie up to 15.5" - 2.0lbs. 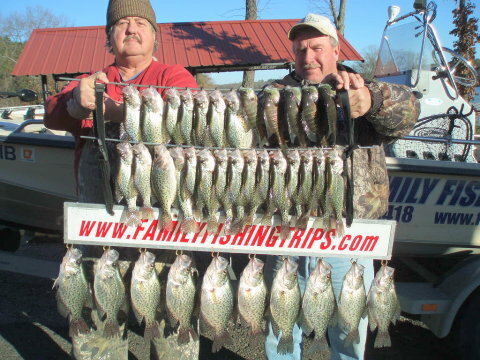 Water temp is warming up and we didn't fish deeper than 6-foot all day. 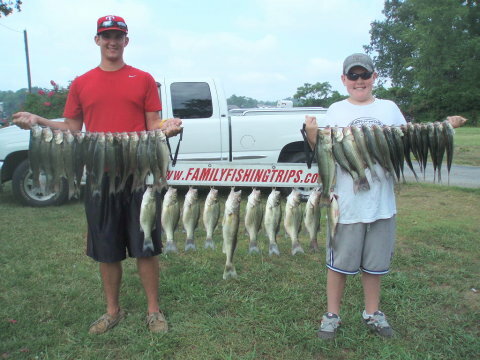 and we took a real good look at about a 15lb. 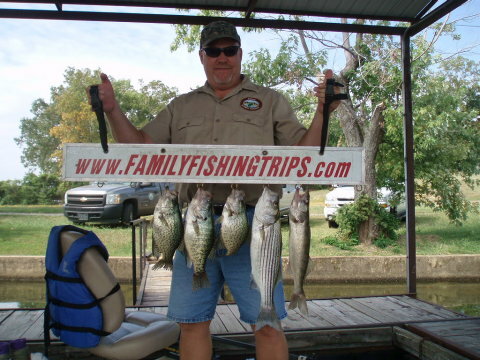 Striper chasing our crappie to the water's surface. 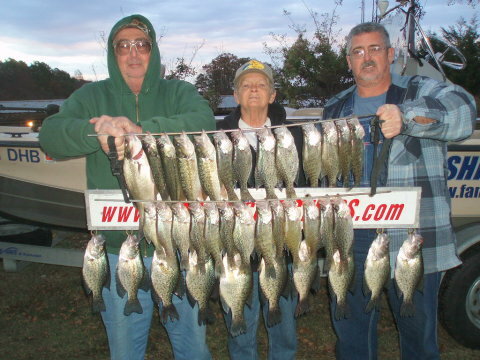 The high winds and cold temperatures made us work hard for the ones we got. 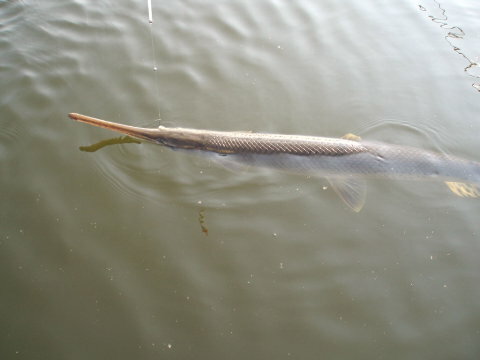 The weather has cooled the water temperature and the fish have moved off the banks. 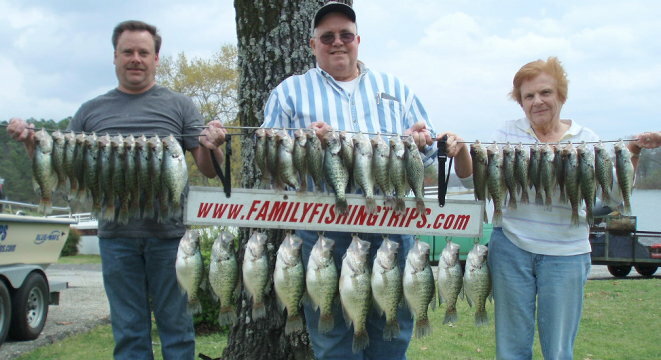 Still fishing shallow and the crappie are laying eggs now. 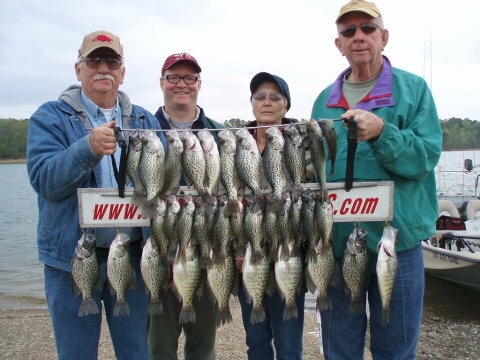 The big crappie was 16-inches long and already 75% laid-out. 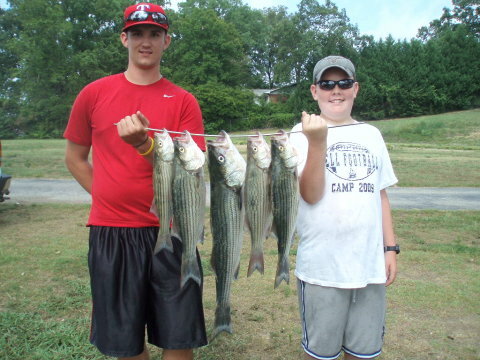 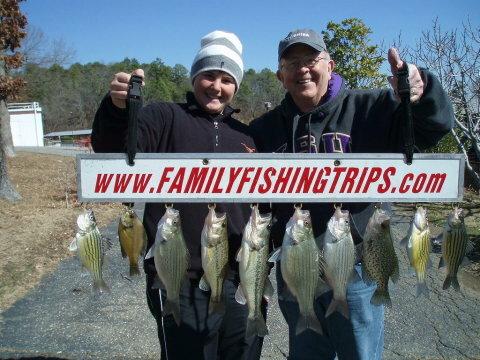 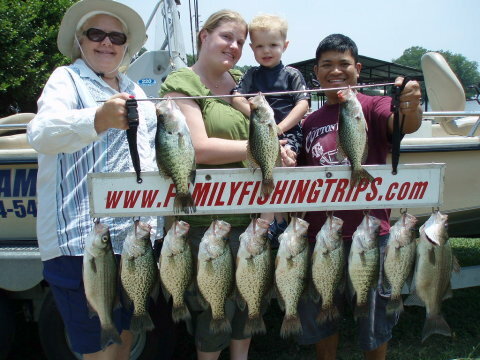 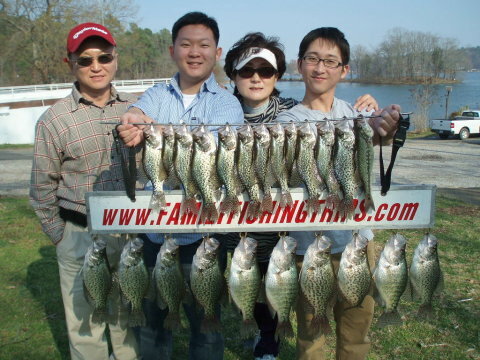 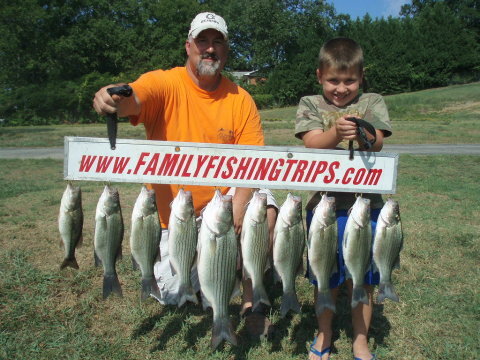 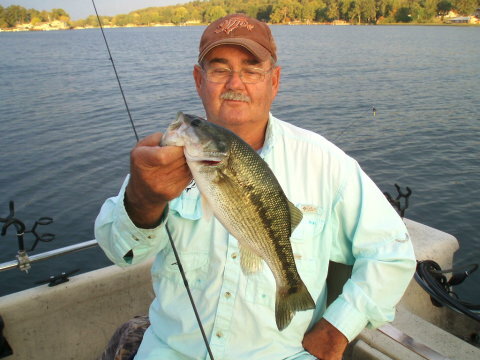 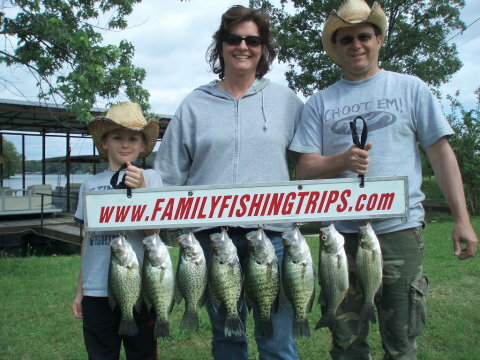 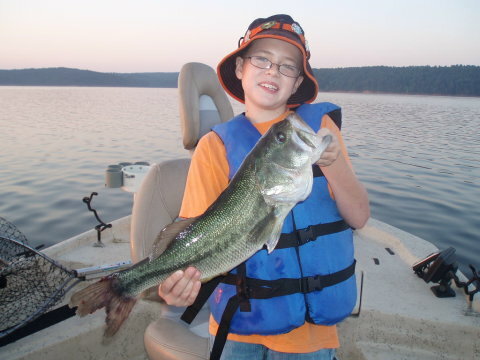 Black and White Crappie up to 17.5"/2.75lbs., White Bass and a Largemouth (released). 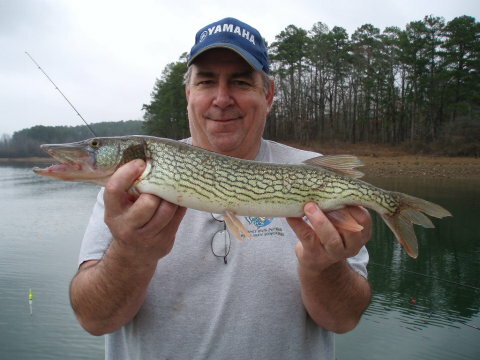 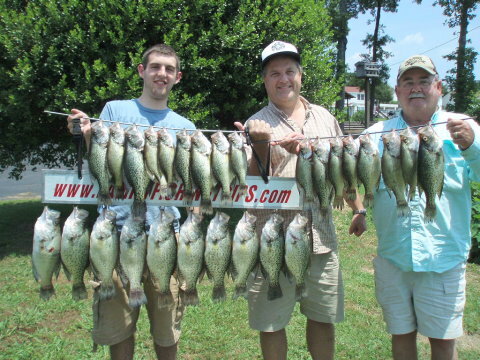 Very busy on DeGray Lake this morning but we got this good mess fishing 18-inches to 3-feet deep on shallow cover. 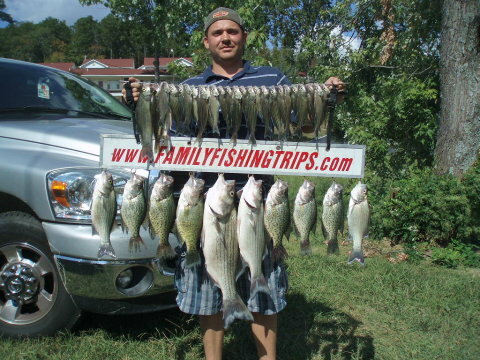 We started fishing 12-15' deep and finished fishing 5-6' deep on shallow brushpiles. 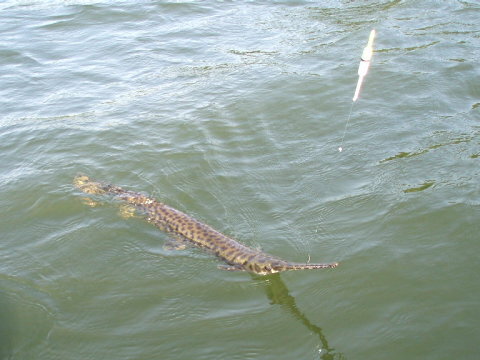 Started fishing 12-15' deep this morning and finished the day fishing 6' deep. 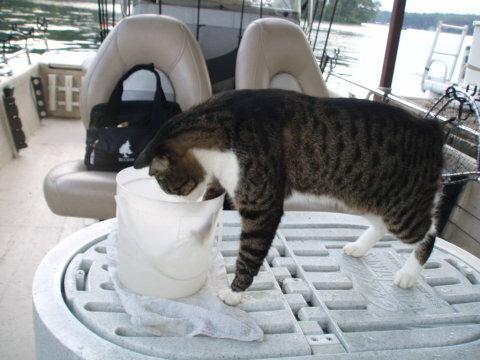 Weather is warming and so is the water. 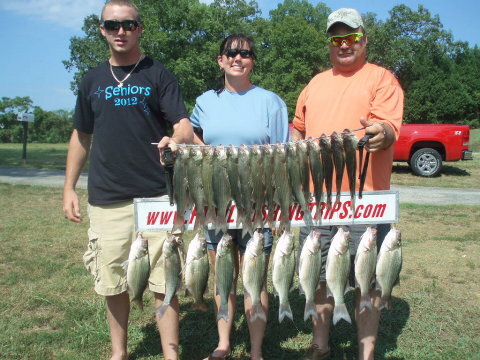 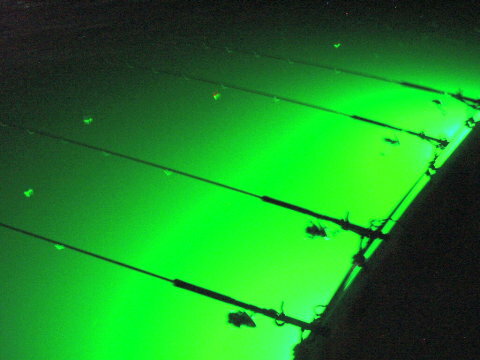 We caught fish from 5' to 14' deep in 8' to 24' of water mostly on live bait. 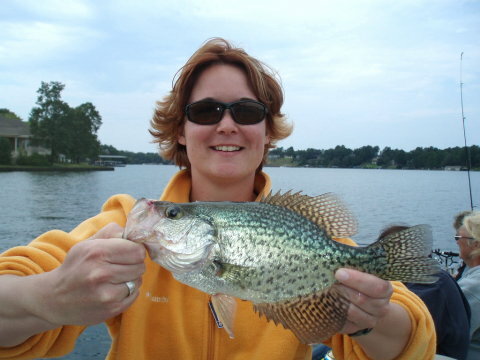 but we accomplished our mission and got a great picture of a hawg crappie. 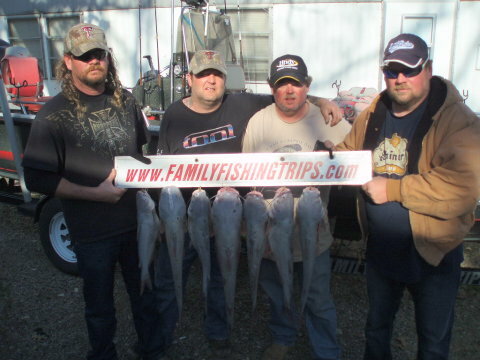 The two hawgs in the middle went 2/4 and 2/6. 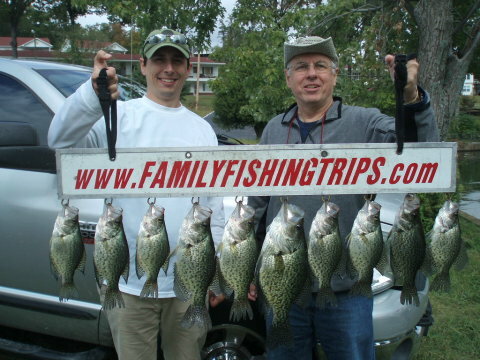 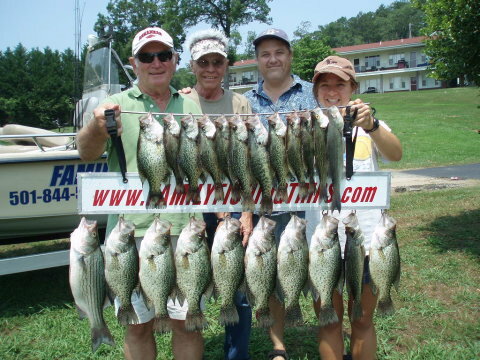 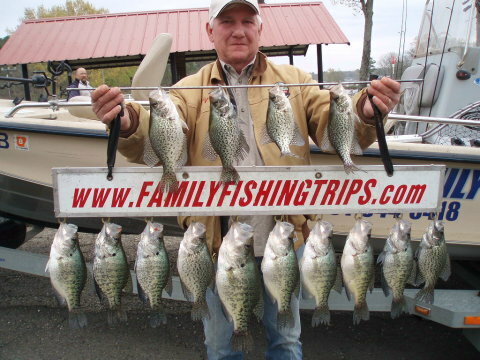 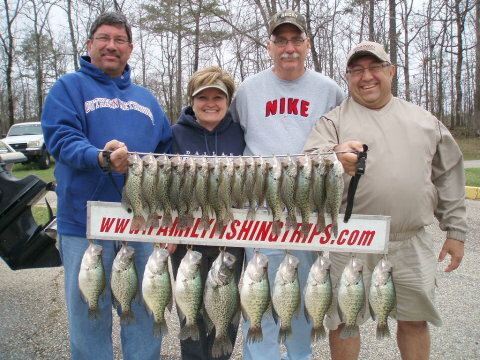 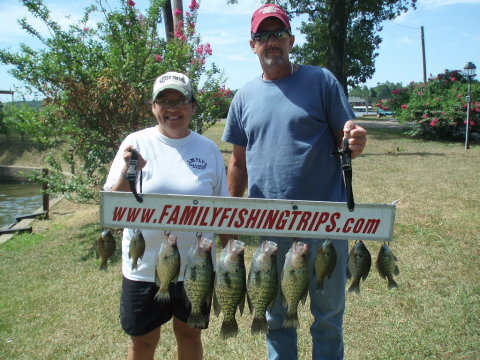 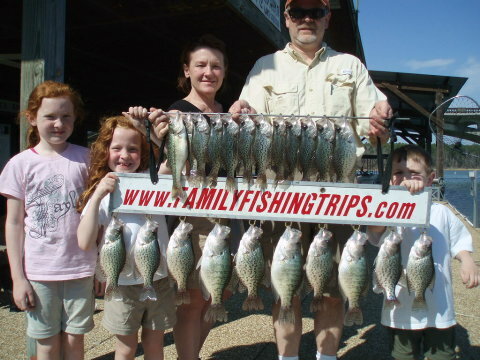 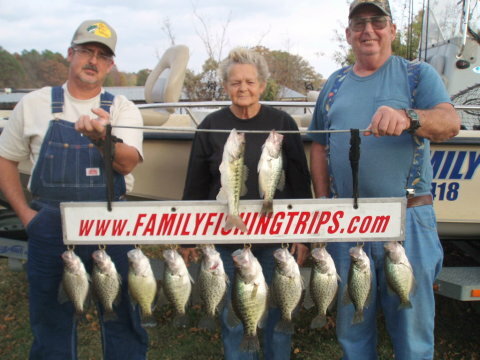 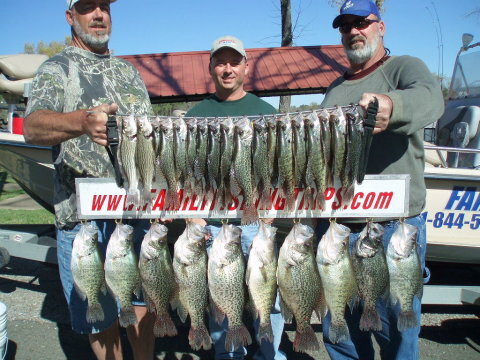 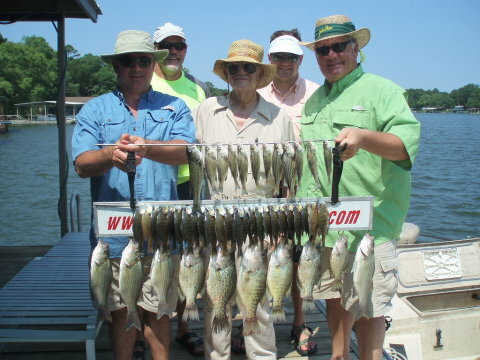 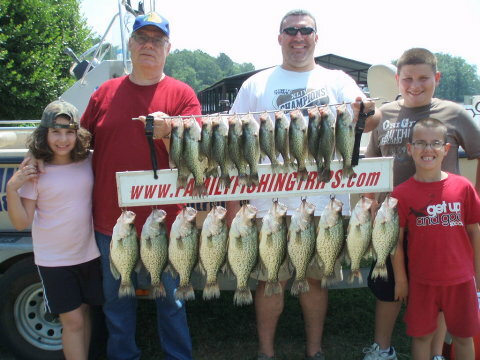 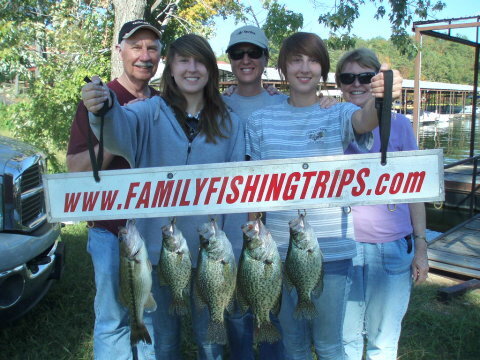 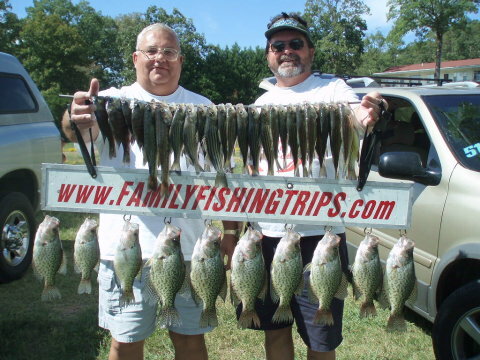 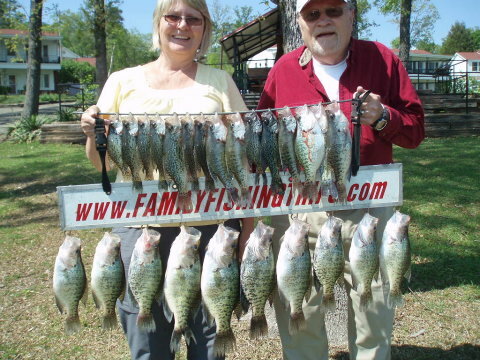 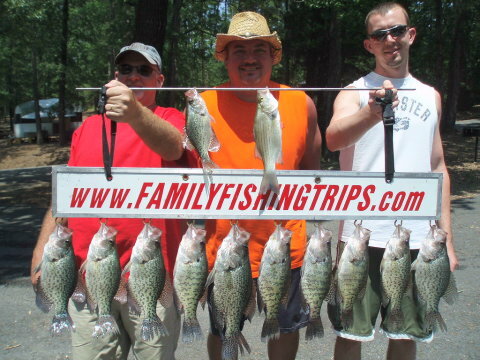 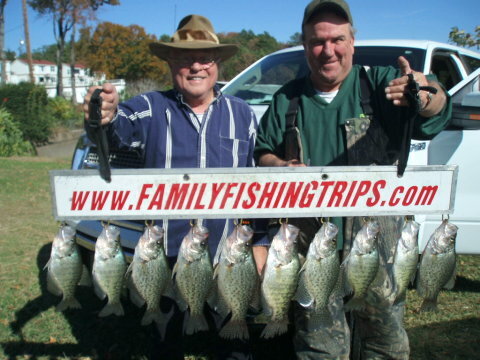 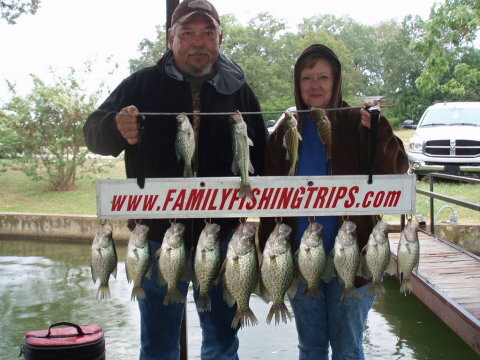 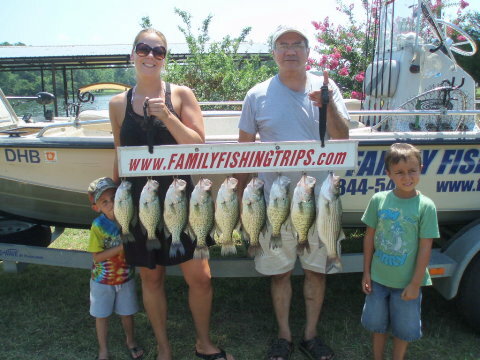 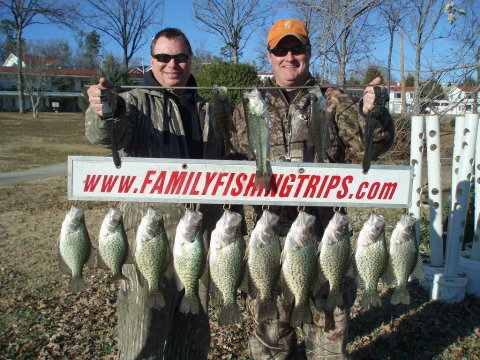 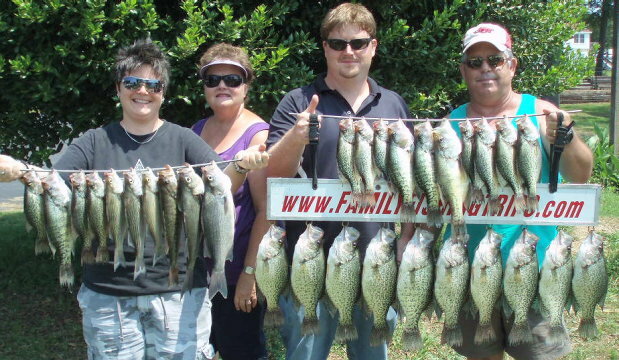 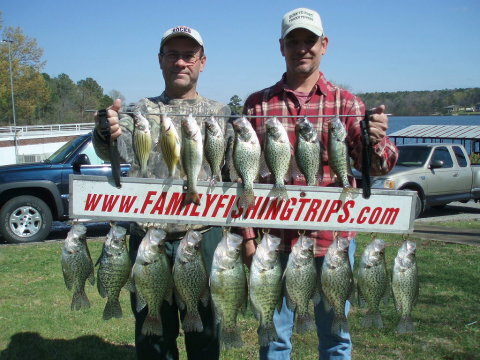 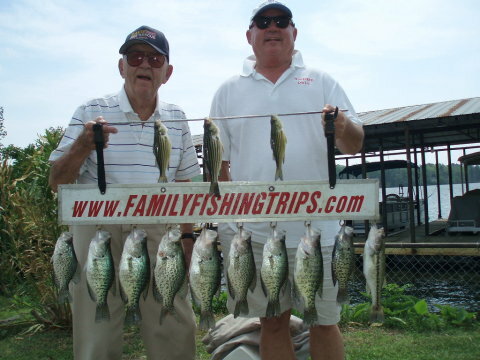 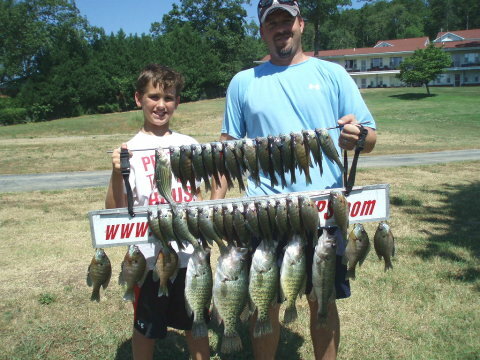 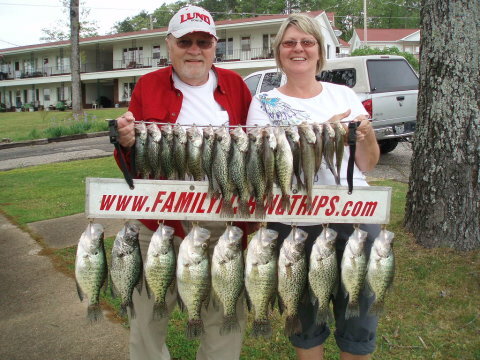 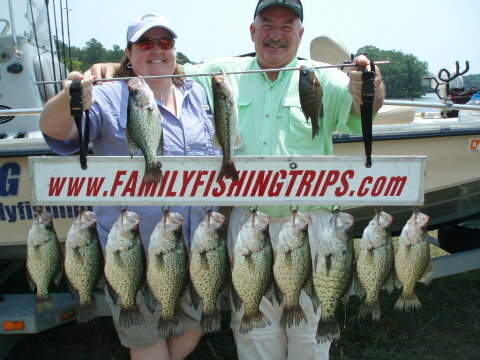 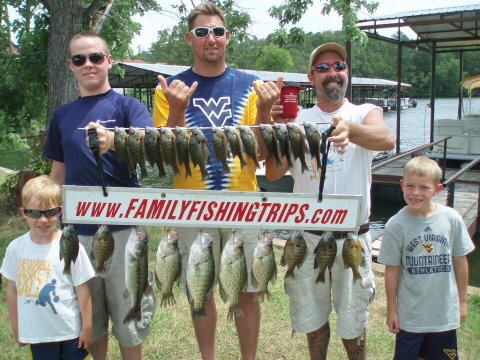 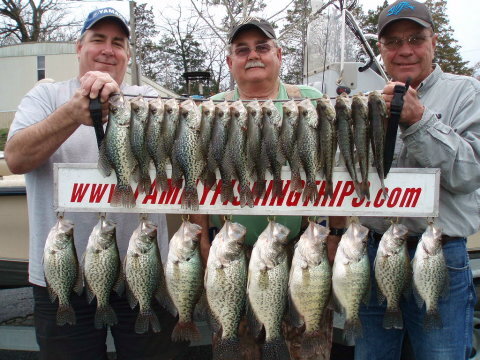 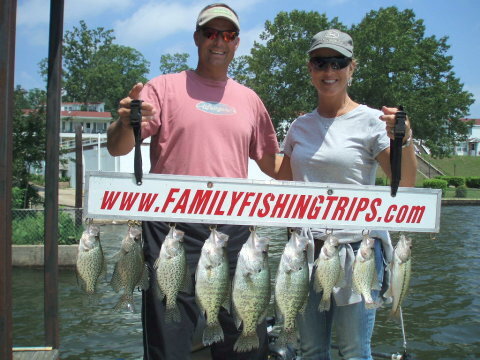 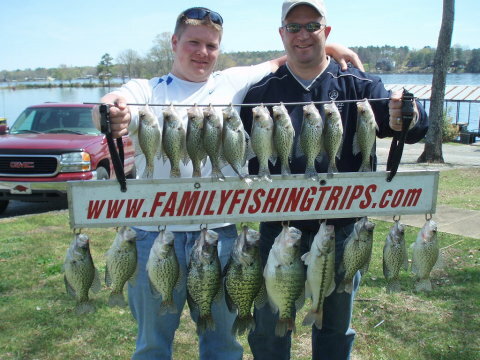 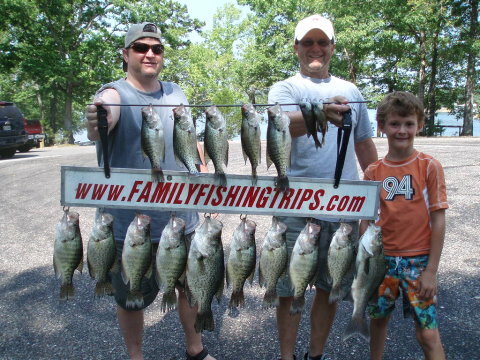 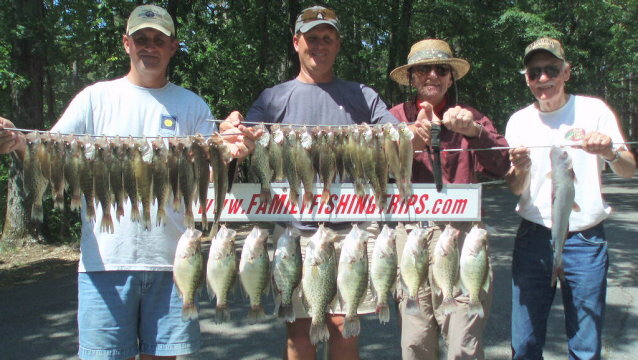 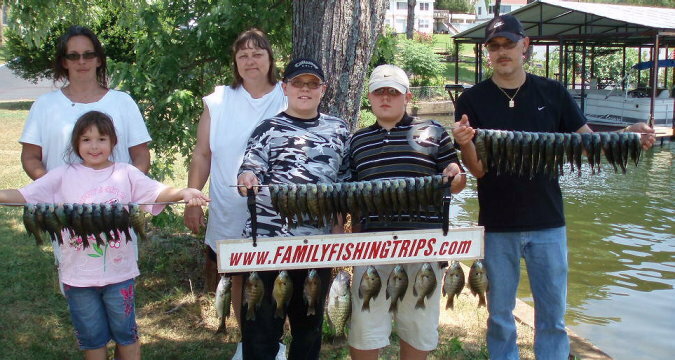 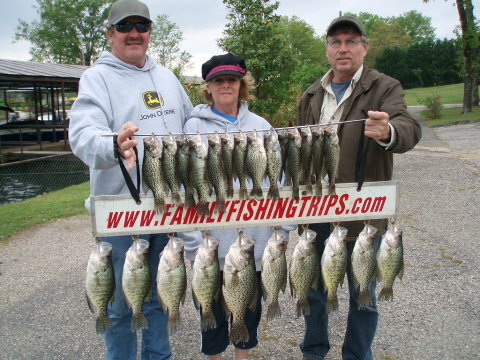 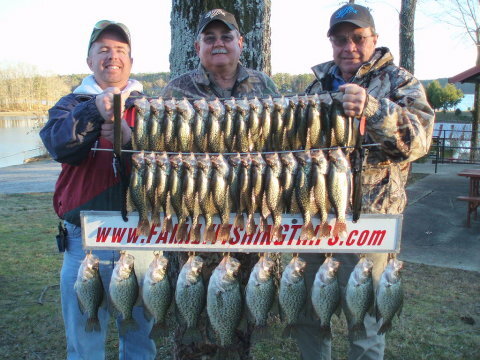 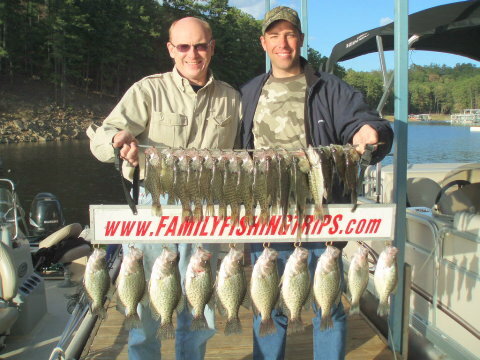 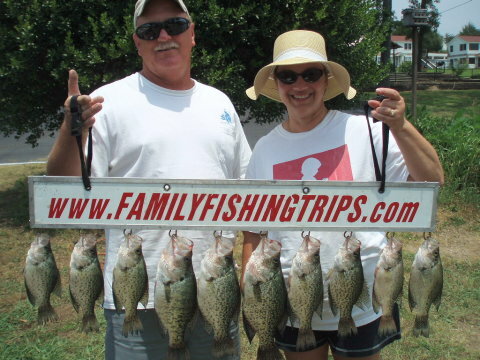 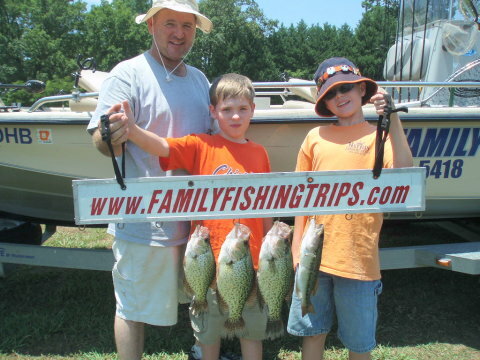 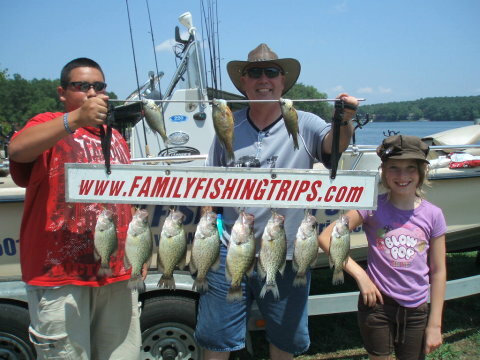 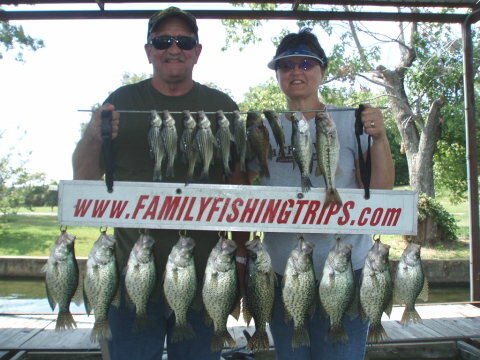 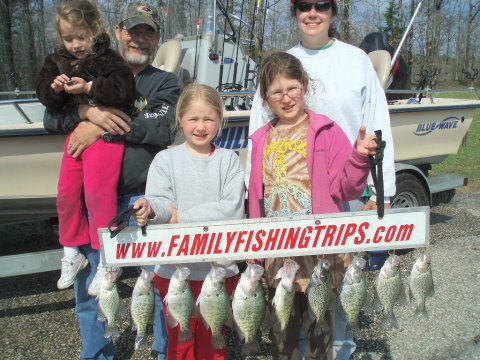 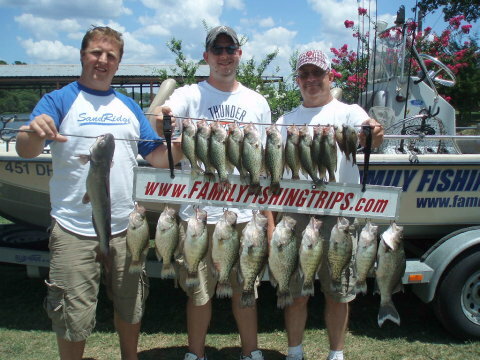 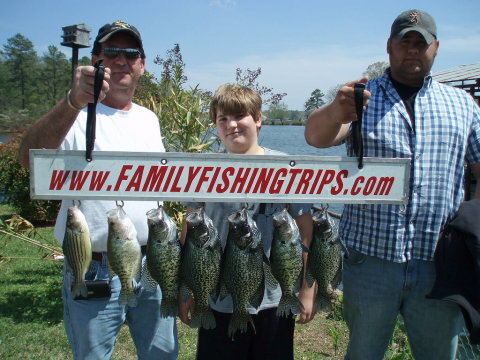 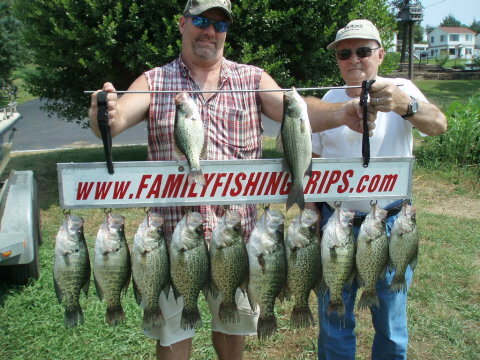 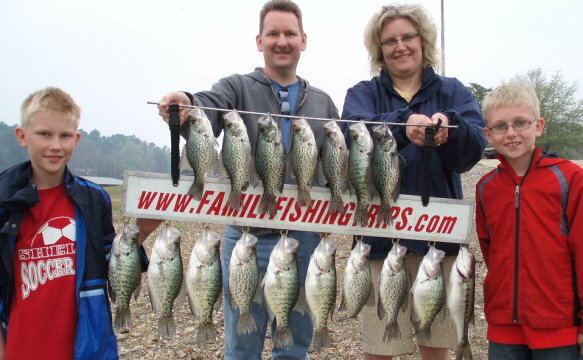 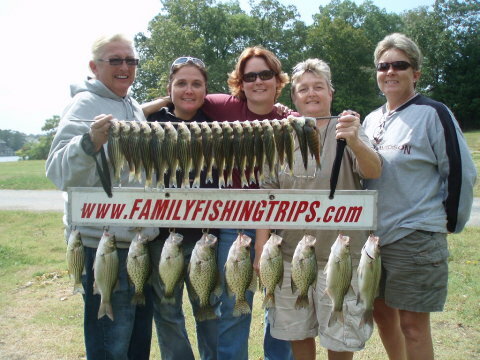 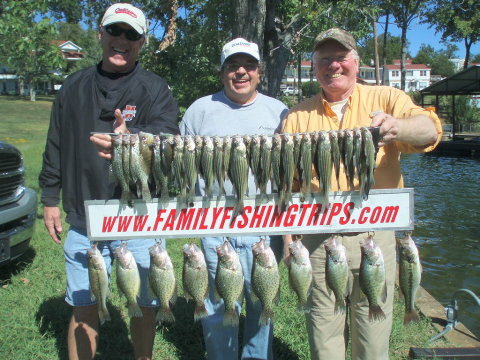 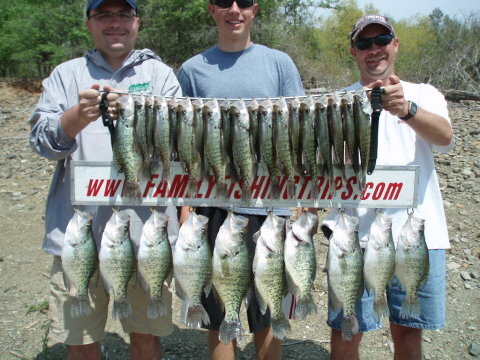 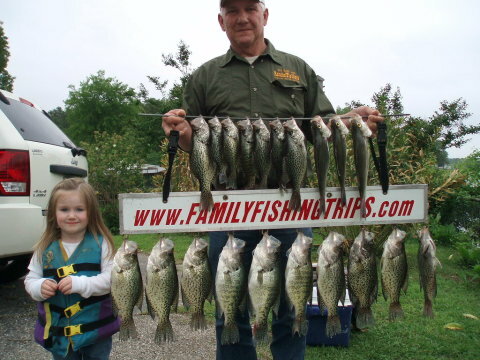 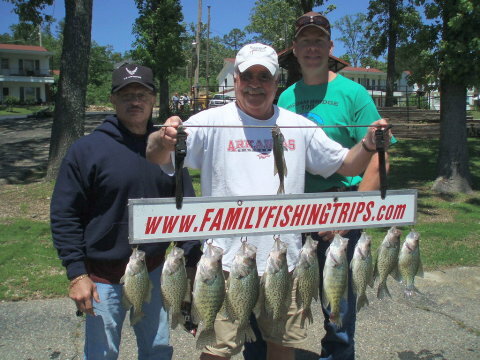 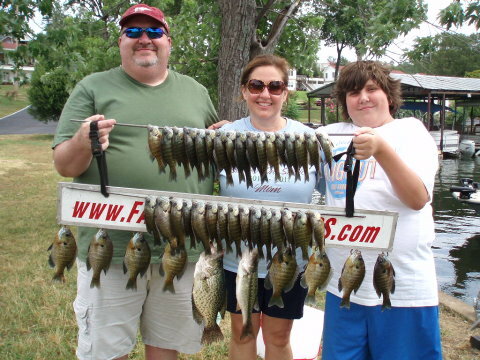 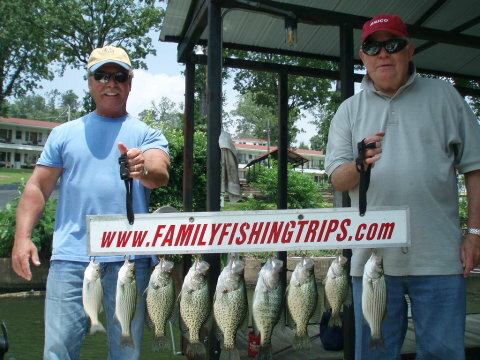 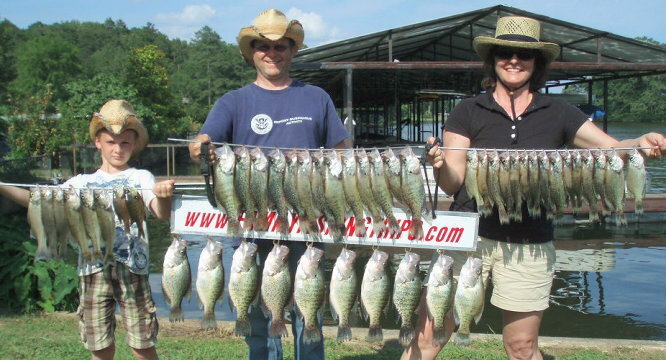 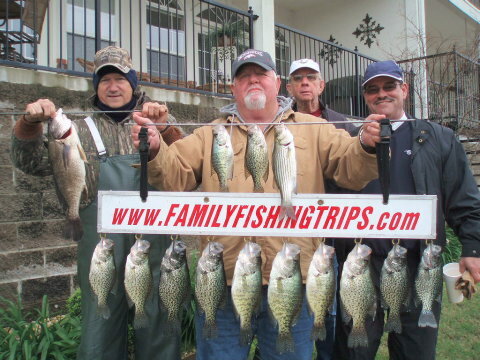 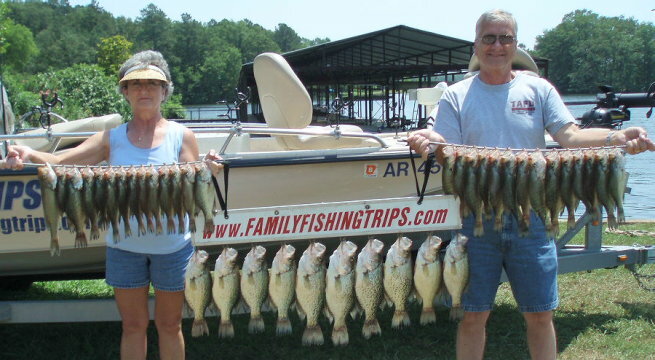 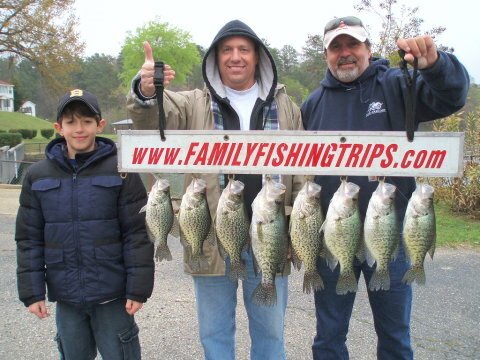 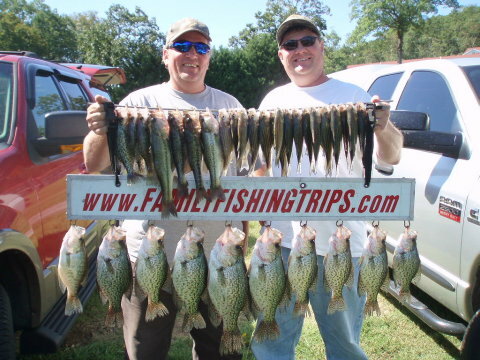 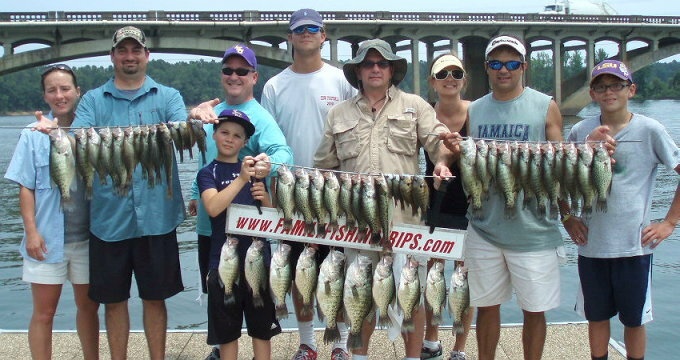 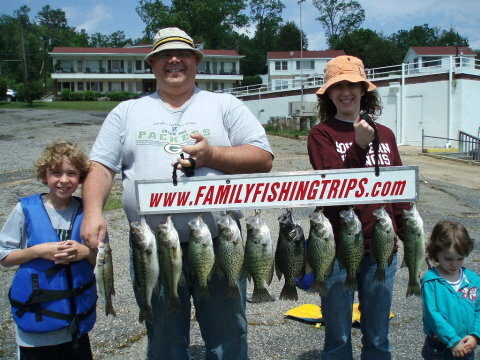 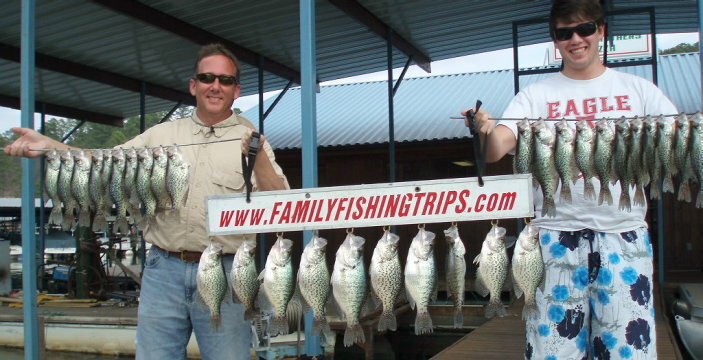 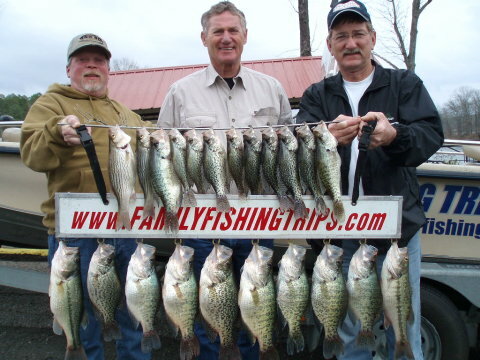 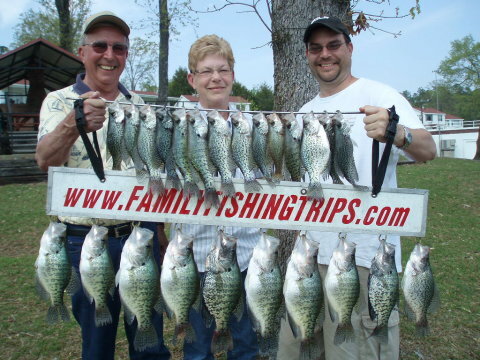 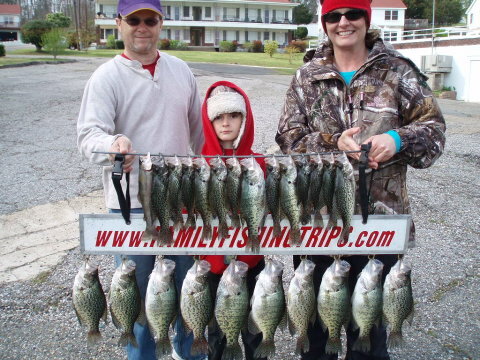 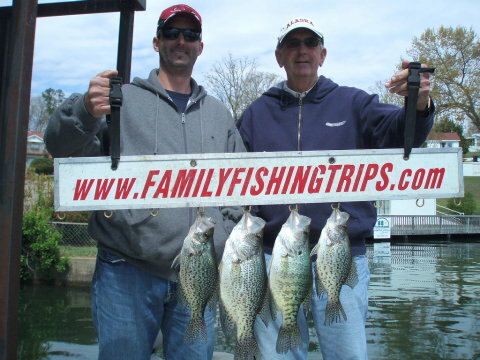 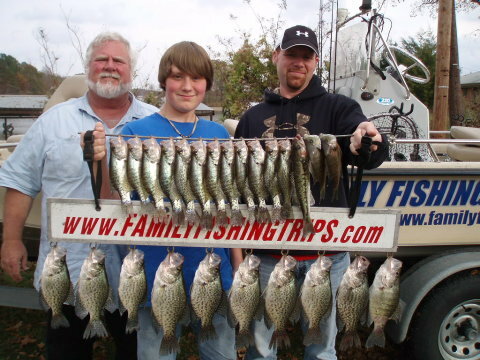 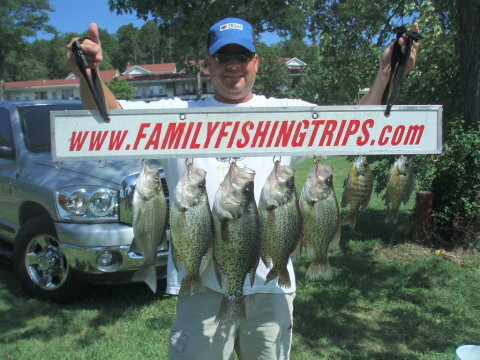 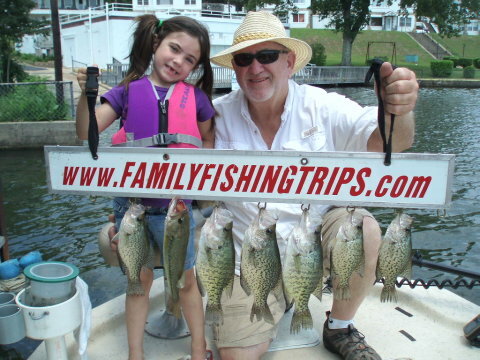 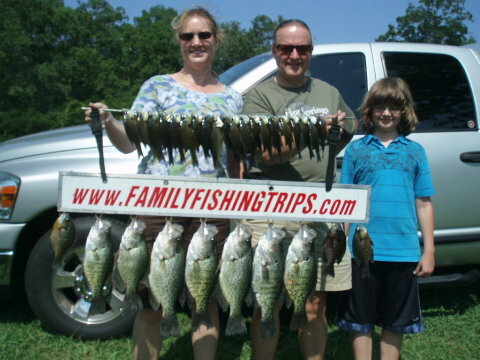 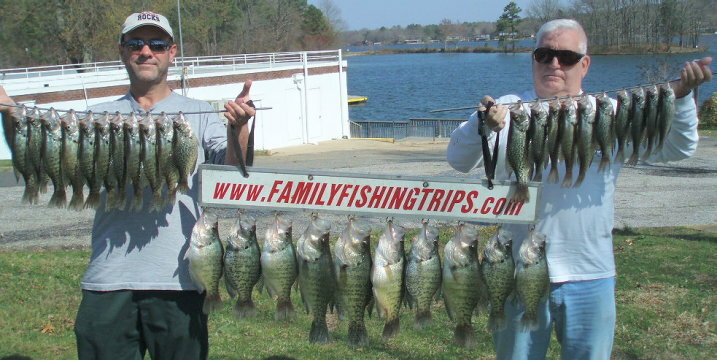 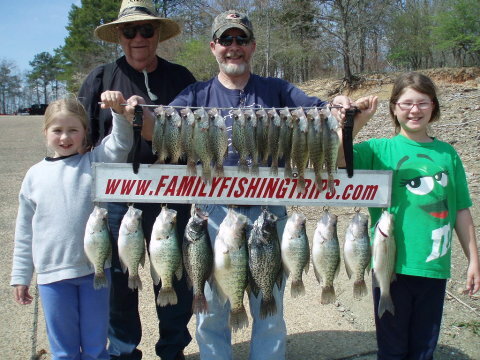 Even the owners of like to crappie fish. 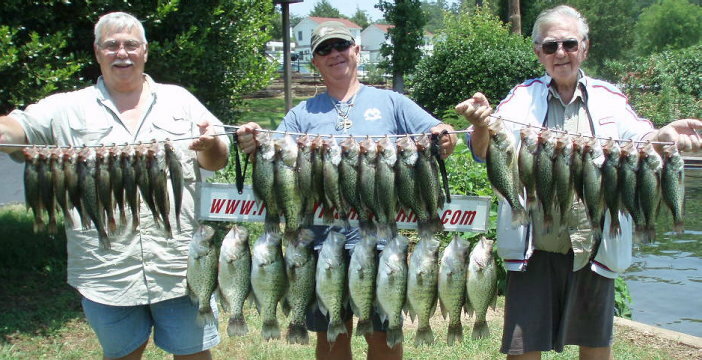 Nutt'in but jigs for the bass and crappie (two crappie over two pounds). 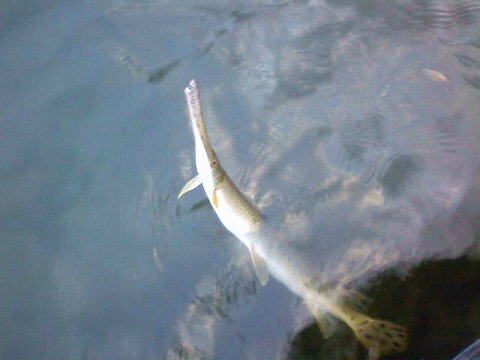 The Pickerel hit a minnow. 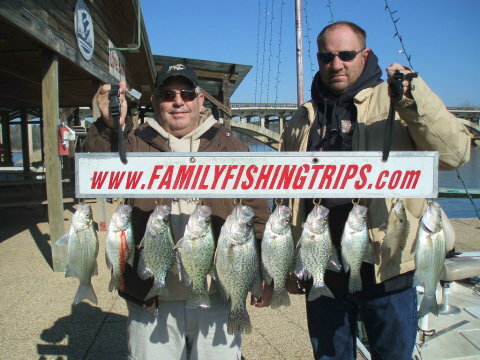 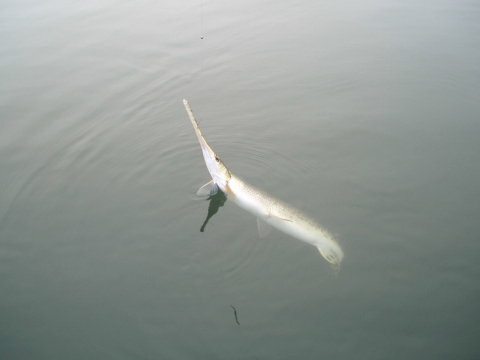 The water is warming slowly and fish are already being caught 2-3 foot deep. 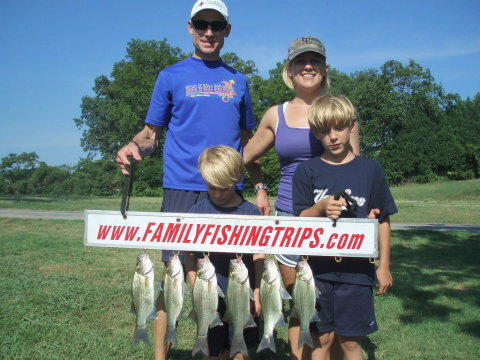 Pictures of our annual trip to Lake Texoma. 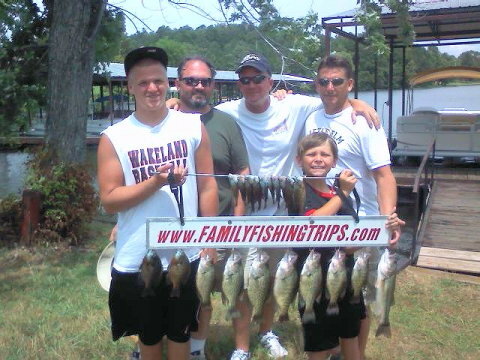 (Left) What we did most - eat. 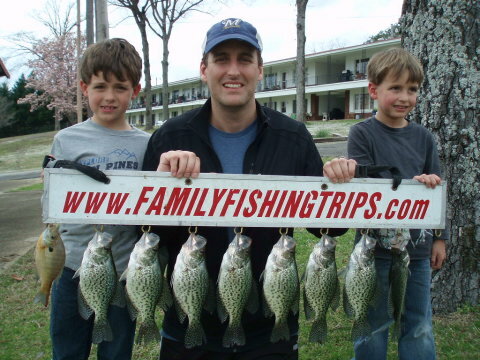 (Right) A picture of the four Morris boys. 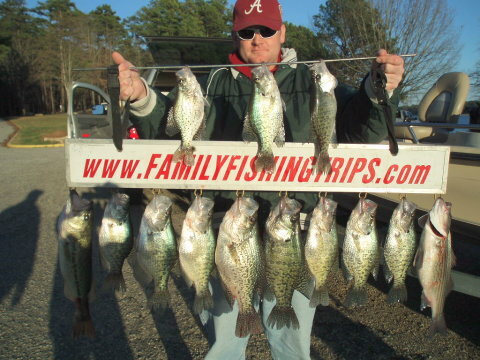 A mixed catch of fix on Lake Hamilton on a bright but cold day.